Le content marketing est sur toutes les lèvres. Et parmi les contenus phares du web, la vidéo caracole en tête depuis environ 2 ans. Ce format s’avère primordial pour éduquer, engager et convertir les internautes. Voilà pourquoi les entreprises ont de plus en plus une chaîne sur YouTube. Cependant, recruter constamment des abonnés sur ce réseau social est un travail plus fastidieux que sur Twitter, Facebook ou Instagram. Facebook a beaucoup évolué et multiplié de manière impressionnante le nombre de services qu’il propose. Mais contrairement à il y a quelques années, le réseau social n’est plus aussi « cool ». Du moins, aux yeux des adolescents. It’s time for a transparent rate structure. There is plenty of evidence that on-demand streaming music services like Spotify and Apple Music are disrupting the way people listen to music. Between them, the two companies have almost 50 million paying subscribers and are generating annual revenue in the billions. As streaming grows, much attention is being paid to the problems between Spotify and recording artists. Whether it’s the arguments about « windowing » made by Adele and Taylor Swift, or complaints by artists like Radiohead about record labels not compensating artists for streaming, they get a lot of press. Apple recently made a proposal that could fundamentally transform the way streaming services pay songwriters and music publishers. As part of a government rate-setting process known as the Copyright Royalty Board tribunal (CRB), Apple recommended that services pay a fixed penny rate per stream. This structure is a major departure from the way streaming services have traditionally paid royalties. Moving to a penny rate would be a tremendous step toward transparency in music publishing. But be careful of the fine print. As the streaming market explodes in consumption, payments to many songwriters could — wait for it — decline on a per-work basis. So our fractions of a penny are divided in two and paid through two separate parties. To boot, we don’t know how much is for each, because the deals between the PROs and the streaming services are private. Remember in « The Karate Kid » when Mr. Miyagi teaches the kid to catch flies with chopsticks? We’re catching fleas with tweezers. Matt Pincus is the founder and CEO of Songs Music Publishing, the world’s leading independent co-publisher. Its roster of songwriters includes The Weeknd, Lorde, Diplo, X Ambassadors, DJ Mustard, Duran Duran and Missing Persons. Pincus is the only contemporary publisher outside the majors to be on the board of both ASCAP and NMPA. His advocacy for artist rights is extensive and he is heavily involved in driving the conversations helping to regulate industry practices. Reach him @mpinc. C’est la preuve que les attentes du public ont évolué, et qu’il attend une autre qualité de prestation. Les clients en ont assez des files d’attente en agence, de la paperasserie et des commissions exorbitantes imposées par les acteurs historiques du secteur. Plus de 30% des transferts d’argents effectués via WorldRemit depuis l’Europe ou les Etats-Unis concernent ainsi un portefeuille Mobile Money. Les utilisateurs plébiscitent l’instantanéité du transfert réalisé depuis leur téléphone mobile, qu’ils ont été parmi les premiers à apprécier. Ils utilisent des services de Mobile Money depuis des années, alors qu’ils vivaient encore dans leur pays natal. Each week, The MBW Review gives our take on some of the biggest recent news stories. This time, things are hotting up between digital music’s two biggest rivals. The MBW Review is supported by FUGA. This is the message Spotify wants to pop up in front of users of its ad-supported service – but says Apple won’t let it. According to the Swedish streaming platform’sJonathan Prince, Apple has told Spotify that the message violates its App Store rules – despite, he says today, it not linking to any offer, purchase or outside website. Apple takes a very different view on things. This is the latest development in a major fallout between the two companies that started off technical, but is getting increasingly ill-tempered. The outcome stands to have serious consequences for music rightsholders everywhere. 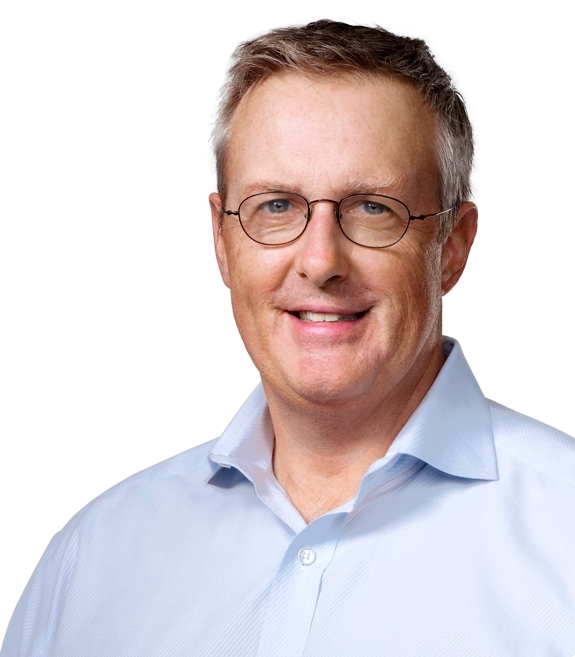 So goes the beginning of a private letter from Apple’s General Counsel, Bruce Sewell (pictured inset), to his equivalent at Spotify, Horacio Gutierrez, sent on Friday (July 1) – which just-so-happens to have since found its way online. It’s three pages long, and contains a series of slaps in the face to Spotify. These include the suggestion that the Swedish firm has “benefited enormously” from its association with the App Store, where it has enjoyed 160m downloads. Another potshot: “We did not alter our behavior or rules when we introduced our own music streaming service or when Spotify became a competitor. Some context: Spotify has long hated Apple’s stipulation that 30% of any new subscription secured through an iOS app is retained by the Cupertino giant. Along with other third-party app makers such asPandora, Spotify regards this as a punishing and greedy ‘app tax’ on its growing yet loss-making business. Apple, on the other hand, points out that it has to pay for its massive App Store somehow, and that keeping a near-third of revenue from its partners is an unobtrusive way of doing so. 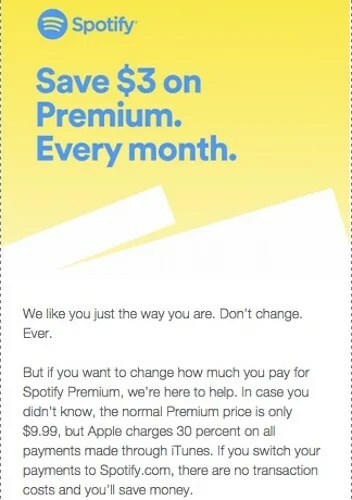 In an attempt to offset the lost income caused by this ‘app tax’, Spotify’s in-app subscription price on Apple devices stands at $12.99 – three dollars higher than its standard $9.99 per month Premium charge. Since the launch of Apple Music in June last year, things have taken a turn for the worse. Spotify says Apple’s ‘tax’ is now flagrantly anti-competitive; that it’s being forced to charge $12.99 per month for a subscription on the iOS store, while Apple’s streaming rival costs just $9.99-per-month. 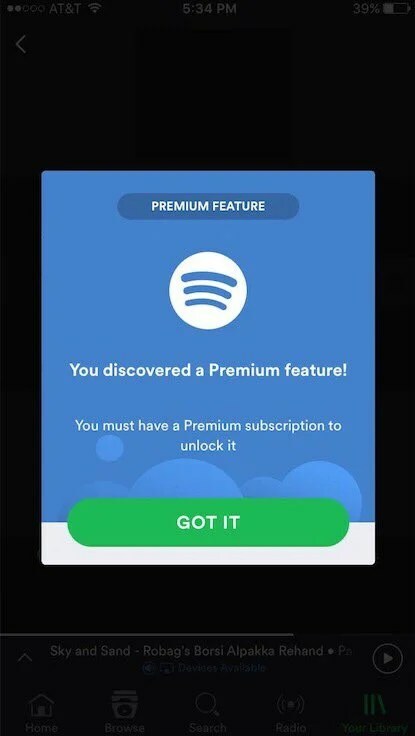 To combat this disadvantage, Spotify wants to be able push users outside the App Store, where they can avoid Apple’s ‘app tax’ and sign up to Premium for $9.99-per-month. Over the past few years, the Rwandan recording industry has grown in leaps and bounds. However, only a few artists and professionals based in Rwanda have arguably been able to capitalise on this growth. Recognising this, Rwandan creative media company Afrogroov in partnership with the pan-African record label and distribution platform Africori and others will host a workshop on the digitization and monetization of the local music industry on Saturday 25 June at the Impact Hub in Kigali. The free workshop aims to change people’s views about Rwanda’s music industry. It is targeted at musicians, government officials, private sector leaders, law professionals and other music industry stakeholders. The conversation comes at an important time in Rwanda’s music industry. In recent years Rwanda’s live music scene has benefitted from a growing number of live bands and solo musicians plying their trade in Kigali. However, it remains a challenge for most of them to earn a decent living from live performances, as venue owners are said to rarely attach much value to them and therefore seldom pay well. For example an article in The East African claims that bands in Rwanda are often paid less than Rwf100 000 (US$127) for a live show. The workshop is part of an all-day arts and culture experience dubbed ‘#IamKigali – Kreative Kigali’, which brings together artists from multiple spheres under one roof to showcase the city’s rich and dynamic creative industries and cultural sectors. The one-day workshop will be followed by evening performances by Abdul Makanyanga, Makumbi Sound and Moutcho, dubbed the M3 Collaboration. Now in his late 60s, Abdul Makanyaga is a renowned Rwandan traditional musician. He first emerged on the local music scene in the 1970s and made a comeback in 2013. Makumbi Sound is a Kigali-based jazz collective made up of percussionist (and economist) Andrew Mold and guitarists Ibrahim Tam Fum, Chris Nicholson and Junior Tamon, who have been performing together since 2013. From neighbouring Burundi, Moutcho is a trio made up of Yvan Kwizera (bass), Amadi Nkurikiye (drums) and Arnaud Nganji (guitar) who came together in 2011. Today they are regarded as one of the most innovative bands in Bujumbura, blending diverse influences such as rock, jazz, traditional Burundian rhythms, funk and hip-hop. The following is an interview with ONErpm founder and CEO Emmanuel Zunz, one of the most bullish executives on streaming music’s growth potential. Zunz is all blue sky, though he’s also backing his enthusiasm with free streaming distribution for all artists, a huge move that’s part of a broader, walk-the-walk approach to digital music distribution. We’ve just brought on ONErpm as a sponsoring partner, and think you’re going to hear a lot more noise from these guys in the coming months and years. Digital Music News: Add up all the on-demand streaming music platforms, and you have roughly 50 million paying subscribers at the midpoint of 2016. What’s the tipping point that sends this to… [gasp] 500 million? Emmanuel Zunz: I can’t guarantee that this will happen, but I’ll certainly project it. And the reason is that new business models take time initially to ramp up. Usually what you then see is an inflection point, following by a new surge in all-of-a-sudden growth. That inflection point is that watershed moment, it’s the same thing. DMN: Isn’t growth in premium streaming music pretty high right now? Spotify is surging past 30 million paying subscribers; Apple is taking on a million paying subscribers a month and recently crossed the 15 million mark. Zunz: Currently, the growth curve for streaming is high among consumers, but in terms of payments and revenue, the growth rates are still pretty flat. But at some point, when people start getting really comfortable with streaming, behaviors will begin to change. That’s your watershed moment, one that will probably occur in about two years. We’ll start experiencing exponential growth. Zunz: I think we’re getting closer all the time. When we get there, it’s hard to say exactly. You’ve just got to continue fighting the good fight. But this won’t happen if the industry doesn’t get behind streaming. We — all of us — have to play an active role to drive consumers towards streaming platforms. DMN: Doesn’t sound like what’s happening at the moment. Zunz: The impression I have now is that many are deciding that it’s Spotify or Apple that are responsible for figuring it all out. It’s ‘These are my rights, I need to be paid for my rights, this is my catalog and it’s up to you guys to figure out how to make a business out of it.’ And I don’t think that’s a productive attitude, I think we all need to be thought partners on how to make streaming successful. DMN: But aren’t there serious concerns regarding royalty rates? Zunz: It’s not that we don’t need to have a productive discussion on rates, or change the laws on how income on streaming music should be distributed. We’re dealing with old copyright laws, and I think those are healthy discussions, we need to keep in mind that without streaming, then we’re really screwed. So we have to play an active role in making this successful, and we can do that by having artists using their influence on their fans, and having them drive traffic using specific campaigns. As opposed to keeping streaming companies hostage and always trying to extract better rates. I understand we want to hold streaming services responsible, but we also need to help them get customers, and that’s by being a marketing or promotional partner with them. DMN: So at 500 million paying subscribers, is that the point that artists start to experience a decent royalty rate? Zunz: Frankly, I don’t know what a ‘decent royalty rate’ means. Is it the percentage that isn’t decent, or is it gross numbers that aren’t acceptable? A lot of the artists I know are making a lot more money on streaming than they are from downloads. The money they make per-download is clearly a lot higher than what they’re making per stream, but they’re still making more overall on streaming. That’s already happening, and it’s very normal these days. So what I’m seeing right now is that we’re light years ahead of where we were two years ago, in terms of streaming monetization. And in two years, we’ll be even more light years ahead. So if the money is already not so bad right now, it’s going to be really good tomorrow. And if you look at it, the payments are decent right now, there are just issues of who’s getting paid. If it’s the label, it’s what’s getting passed to the artist. But streaming is a very important source of revenue for a music company today, and it should be an important source of income to the artist. But it’s often down to how much a label is paying the artist. So, I really don’t really understand or agree with the premise of the question. DMN: Why shouldn’t an artist wait until the big subscriber numbers arrive? Why put up with bad royalties today? Zunz: We really need to work together to build an industry. And no, artists shouldn’t wait until the big numbers arrive, I really don’t think we’re talking about bad numbers today, but we need to work together to change consumption habits. They need to show their fans the value of listening on streaming. And in order to change consumption habits from users, you need to have your content on the platform, and show the user the value of subscribing. So it’s absolutely imperative that artists don’t wait, they have to be participants. We all have the responsibility and the power to transform the industry into what we want it to be. We should never sit out and wait. And it’s only through working internally that we can actually make change, it’s only through participating that we can make change, we have to make it happen, and by all of us taking a part is how we’re going to get to 500 million subscribers. DMN: What happens to free streaming in all of this, either on YouTube or the on-demand audio side? Sony Entertainment executive Michael Lynton recently mentioned that free access may eventually be terminated, as soon as paid volumes reach critical mass. Zunz: It’s not free, it’s ad-supported. And YouTube and on-demand services are very different in terms of how they treat ads. I don’t know if you’re going to get rid of ad-supported entirely, though I do feel strongly that having users sign up for ad-supported streaming is an essential part of the development of this industry. Will it go away? It might. But it would only go away if we have a good amount of paying subscribers.